Guys, this is one of the best dresses ever. I own one myself and it is perfect for... everyday! 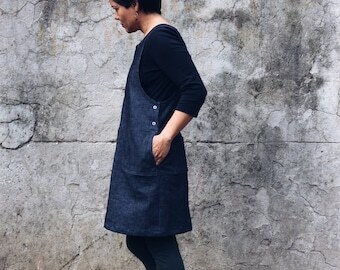 It is an A line shaped apron dress in a medium weight denim. 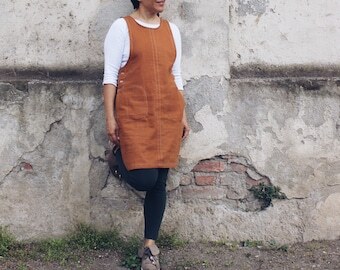 It features 2 deep patch pockets, racer back, no buttons closure. 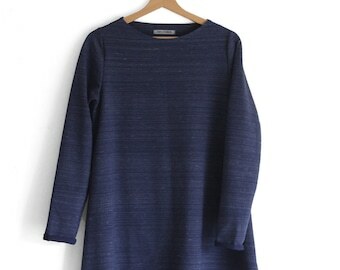 Indigo dye is a very deep and intense dye so the fabric will fade a little with each wash to give a comfortable, worn appearance. 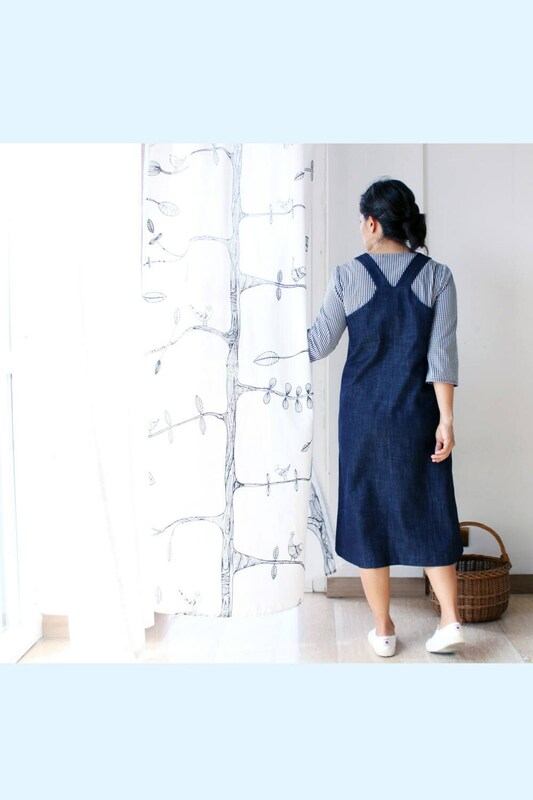 As it is a natural dye there may be some color rub when new, so please keep your new denim away from light colored fabrics and upholstery. 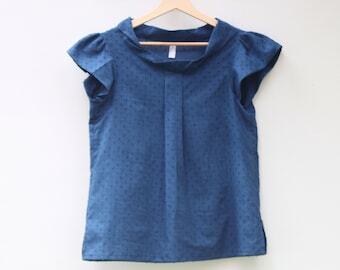 In the pictures it is combined with the Tiny checkers woven t-shirt. 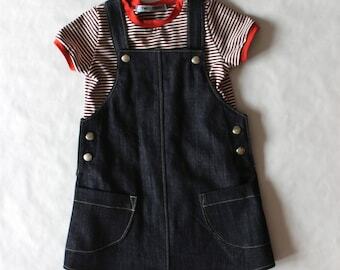 **This dungarees dress can be ordered is custom sizes up to bust size 120 cm (47 inches). 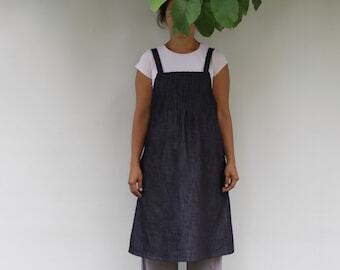 Absolutely beautifully designed and made denim dungaree dress arrived today. I just love it! Attention to detail is amazing. 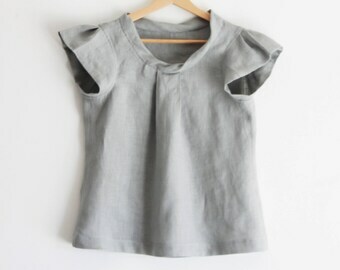 It will be absolutely perfect for the cooler weather fast approaching. It is such a pleasure to purchase from this very clever and kind maker and seller. 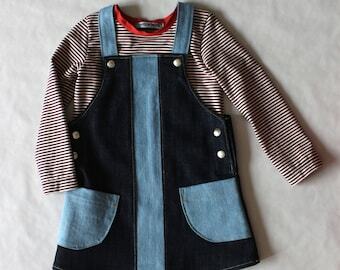 A wonderfully made pinafore dress. The fit is great and I love it. Diana is so nice to communicate with and her workmanship is excellent. I have purchased from Diana several times and have never been disappointed! Excellent workmanship. Top quality. Spot on shipping time. 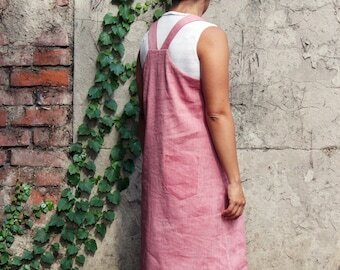 I'm a returning customer and Diana's exquisite atelier has been on the top of my list of favourite Etsy shops for the past 5 years now! Thank you for the beautiful gift and thoughtful packaging.